It is with great sadness that we share the news that Charlie P. died on Thursday, April 21, 2011. Charlie had just turned 82 years old. Charlie was born on April 8, 1929 in Tulsa, Oklahoma to William and Mary Agnes (O'Dell) Parmley, he graduated high school from Tulsa Webster in 1946. Soon after Charlie joined the United States Army and served in Germany at the end of World War II. After leaving the military, Charlie went to work for the Spartan School of Aeronautics, first as an instructor and later as director of student admissions. Charlie married Barbara (Herod) on December 18, 1965 in Eureka Springs, Arkansas. After marrying, Charlie and Barbara moved to Maysville, Arkansas to farm and raise a family. Charlie loved to spend most of his time outdoors and one of his favorite hobbies was cutting wood. Also, he loved to travel and was known for his generous nature and willingness to help people. Charlie was not only a hero to his family, but to many people all over the world whose lives he touched. Charlie was the co-founder of the House of Hope Inc. Recovery Center in Grove, Oklahoma and was a 41 year old friend of Bill W.
Charlie was preceded in death by his parents, and two brothers, Jim and Bob Parmley. Charlie is survived and will be dearly missed by his loving wife, Barbara of the home, daughter, Charlotte Parmley, and Granddaughter, Natasha Beaver, of Grove, OK, daughter, Valerie Bookout, and grandchildren Taylor and Bess, of Oklahoma City, OK, and grandchildren Brittie and Jess Beesley, of Jay, OK, son Kurt Icenberger, grandchildren, Brooke and Erik, of Conroe, TX, daughter, Marcia Blaine, grandchildren, Tim, Christi, Jenny, and John, of Seymour, MO. And also survived by thirteen great-grandchildren. Most widely known within the fellowship because of his love for the big book and his partnering with Joe McQ. to start and continue the Joe and Charlie Big Book Studies since 1977 that have been given all around the world. Soon they were planning meetings in hotel rooms at AA conventions in Oklahoma and Arkansas, and within a few years, the meetings grew in popularity. In 1977, some members met in a Tulsa, OK hotel room for a discussion of the Big Book. One asked Joe & Charlie to come to his home group to present a program on the book. An AA taper made a four tape set of their presentation and called it "The Big Book Study". The tapes were gradually circulated throughout the fellowship and invitations were received for Joe & Charlie to present the study at AA conventions, roundups and special events. By 1980, there had been about eight studies offered. 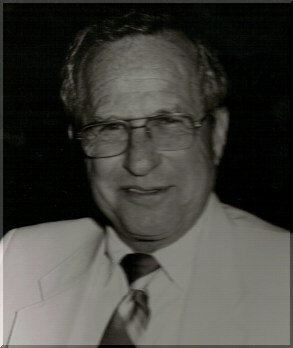 At the 1980 International AA Convention in New Orleans, Westly P. an impassioned Big Booker from Pompano Beach, Florida, organized a lunch for 1,500 AAs from all over the world and gave away 100 Joe & Charlie tape sets as door prizes. Invitations exploded and within a couple of years, Joe & Charlie were presenting about 36 studies a year worldwide. Obviously, the seminars struck a deep chord within AA members ... for the reaffirmation of "this message" as written in April 1939 with the publication of the first edition of Alcoholics Anonymous. The original Joe McQ. (he passed on in 2007) had curtailed his travels and oddly enough, another Joe -- Joe McC., active in the study group since the beginning -- had been able to pick up the slack. "Where God guides, God provides," as some members say. All this growth has not come without a measure of turbulence. What spiritual journey does not encounter obstacles? Some fellow AAs have termed the duo, "self-appointed gurus". Others have accused them of making money on these weekends. Actually, only travel expenses, meals and lodging are paid for by the independent AA host committee sponsoring the study. This is in accordance with the AA Guidelines for Conferences and Conventions (MG4), published by the General Service Office. Since 1977, an estimated 200,000 AA Members have experienced the spiritual benefits of these collective studies (as of 2007). will not be posted until they have been reviewed.